Smart speakers seem to come in all shapes, sizes, and flavors these days. Of course, the speakers themselves have their own sonic and feature-related pros and cons, as do the voice assistants living installed within. Though Alexa may be the most omnipresent assistant in smart devices, she’s not exactly the most omnipotent. Nor is she necessarily the most seamlessly integrated. 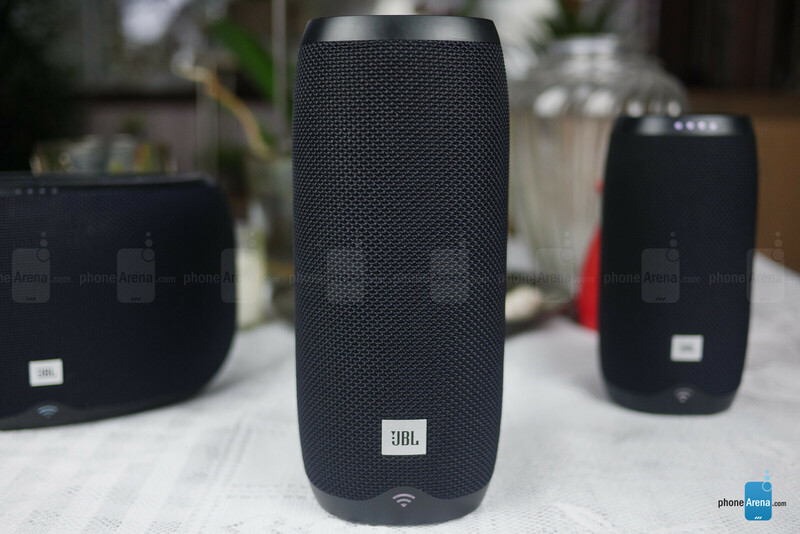 JBL’s Link smart speaker series is one of a few to feature Google Assistant and Chromecast built in, which ostensibly bolsters its prowess in home integration. As the name suggests, all the speakers in this lineup can “link” up to one another and create a whole-home audio solution. With enticing media features and the backing of Google, the Link series may just be the multi-room smart speaker you’ve been looking for. 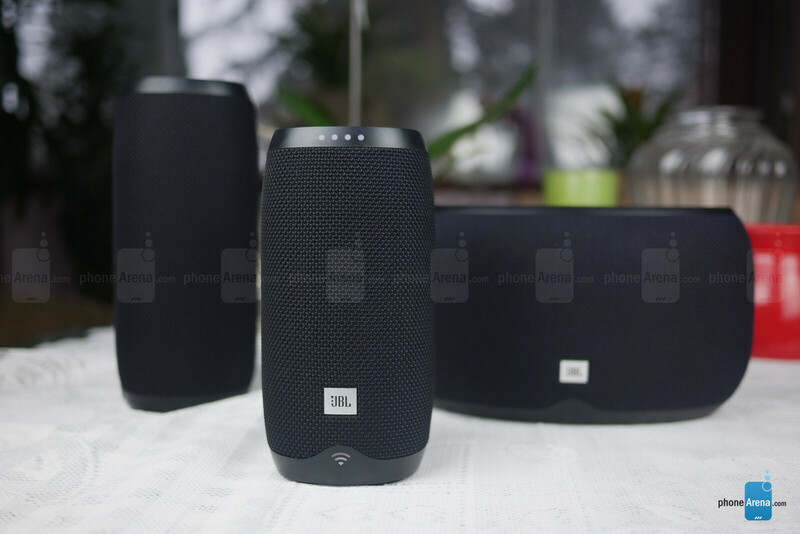 We took a look at the JBL Link 10, 20, and 300 to help you find out if that's the case. When JBL says whole-home audio, they mean everywhere at home, and that includes the pool or bathroom – at least for the portable Link 10 and 20, which feature IPX7 water resistance and rechargeable batteries with 5-hour and 10-hour playback times, respectively. The Link 300, on the other hand, has no such water-resistance rating, and works only when plugged in as it lacks a battery, making it a stationary speaker suitable for your living room. In back of the Link 300 you’ll see the exposed back-end of the subwoofer, whereas the Link 10 and 20 feature all-the-way-around speaker mesh for their 360-degree sound. All Link speakers have a set of buttons on top which include volume controls, Bluetooth pairing, pause/play, and a button to summon the Google Assistant. In front are four circular lights that indicate volume level with varied levels of brightness, as well as a Wi-Fi symbol that illuminates to signify the speaker’s signal strength. These are all unobtrusive, helpful, and good-looking accents on each speaker, which help to keep the all-black speakers from looking too boring. 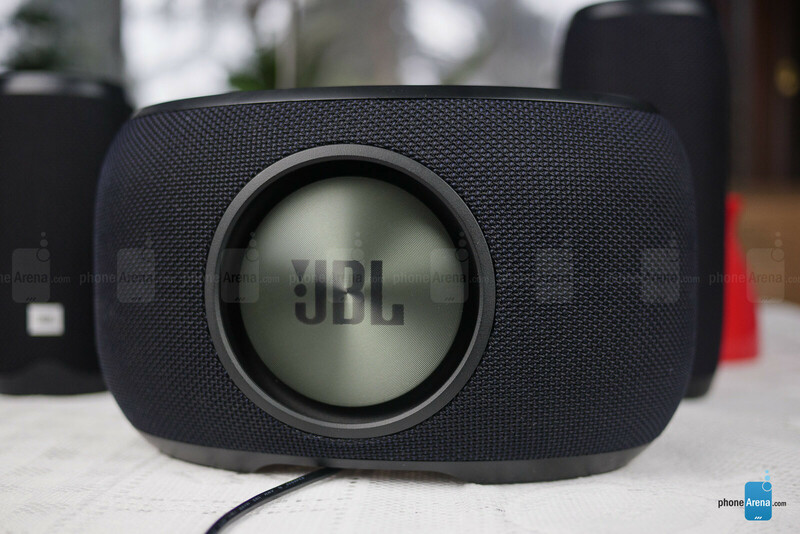 All three JBL Link speakers, and really any Google Assistant/Chromecast-toting speaker, can be controlled almost entirely from the Google Home app. Best of all, built-in Chromecast allows you to cast your mobile device’s audio to the speakers – one at a time or altogether for a synced, multi-room audio experience – regardless of the speaker brand. By now, it shouldn’t come as much of a surprise that the Google Assistant is the savviest voice assistant around when it comes to search functionality and contextual awareness. One tried-and-true example to prove the latter point is asking Google Assistant the capital of Nepal. The assistant will respond with the appropriate answer, Kathmandu. Then you can say “Hey Google, how do you spell that?” and it will spell out Kathmandu, whereas Alexa and Siri still spell out the word “that” after the same line of questioning. Of course, this is a specific example of a larger deficiency in Alexa’s conversational and contextual awareness. Echo devices do allow you to enable Alexa to always listen for follow-up commands for a few seconds after each command – something Google Assistant unfortunately lacks – a particularly upsetting omission for Google considering its assistant's superior handling of follow-up questions. Google Assistant’s compatible and fully-integrated at an app level with most smart lights, locks, and hubs, but some nuances do exist. In regard to the Google Home app, it’s very easy to create rooms and assign devices to them akin to Alexa’s “groups” feature. This enables you to say “turn off the bedroom lights” to any speaker in the house and have your bedroom lights shut off. However, Alexa has a slight advantage when using multiple Echo devices, as pairing each one to a specific room means that you can simply say “turn off the lights” to your Echo in the living room and only see those lights turn off. Unfortunately, even if a JBL Link or other Google Home device is paired to a certain room, you still must specify in your command the room in which you’d like the lights to turn off – no matter where you are. This particular caveat is a mostly minor difference which we imagine Google will update in the (hopefully) very near future; it is after all a newer feature for Alexa, as well. Google’s assistant has traditionally done a great job with nomenclature and phrasing in queries, but also in smart home commands, as well. Adding the ability to make nicknames for your devices within the Google Home app is another, much bigger help than you may initially realize. This means that if you have a smart light named “desk light”, for instance, you can add a nickname like “desk lamp” so that both phrases may be accepted – something other assistants can struggle with, not having such options. You can’t actually control smart home devices from within the Google Home app as you can with Alexa, for instance; you can only do so with your voice. Smart home integrations like turning on your TV are also a bit clunky when it comes to commands. In order to turn on a TV or other IR device, like with any voice assistant, you’ll need to pair it with something like Logitech’s Harmony Hub. In the case of the Google Assistant, though, when paired you can’t just say “Hey Google turn on the TV” but rather must say “Hey Google tell Harmony Hub to turn on the TV.” This is of course very unnatural, but if you have Google Chromecast and a TV compatible with control through HDMI (many TVs are) then you won’t have to worry about this particular less-than-seamless integration, as this enables you to not only turn on the TV, but also tune to your favorite Netflix series, for example, in one quick command. Controlling other IR devices will still require the aforementioned clunky phrasing, though – a seam in integration which we hope to see patched up soon. Unfortunately, you can’t make phone calls or send texts with the JBL link speakers, even though this is an advertised Google Home feature. 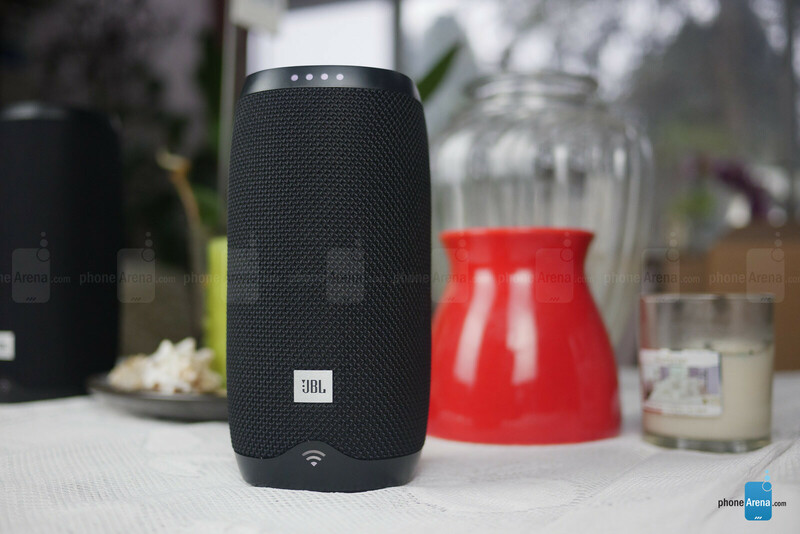 The JBL Link’s all run a firmware version slightly older than the newest Google Home firmware, and as such this feature is not available at this time. Of course, the JBL Link 10, 20, and 300 will provide different sound experiences as you ascend the sizes, but for the most part the differences are relegated to peak volume output and bass response. That is to say that each JBL Link displays decently balanced sound in its respective size, albeit a bit muddier than we’d prefer. The smallest in the lineup, the Link 10, is better-suited for a small room or desktop experience, as it won’t deliver much in the way of bass or high decibels, but can be satisfying to listen to in close proximity. The Link 20 steps up peak volume and bass output a bit and could be a better choice for a small gathering, but still won’t flood a room with immersive sound. The Link 300 is a nice choice for a living room or family room speaker, as the sound can better fill a room, though it won’t do so to the point where you can’t easily speak over it at peak volume. Suffice it to say, they aren’t the loudest speakers on the market – the Link 500 is the true heavyweight of the series – but all three speakers maintain good, full-bodied sound at their highest volumes. Whether you’re listening to one speaker in a room or all of them at once, the sonic experience is generally quite pleasing. Bass won’t be knocking pictures off the wall with this particular set of speakers, and the overall sound could use some more clarity and treble, but otherwise we were satisfied listening to these speakers for long periods of time. As mentioned, the JBL Link 10 and 20 have rechargeable batteries, 4000 mAh and 6000 mAh, which are rated for 5 and 10 hours of playback, respectively. In our real-world use, we found these estimates to be well within reason, but of course Wi-Fi signal strength and volume can have varying effects on this rating. Speaking of connectivity, all Link speakers include Bluetooth 4.2 and Wi-Fi connectivity to support Bluetooth music streaming as well as Chromecast casting, and stand-alone music streaming. 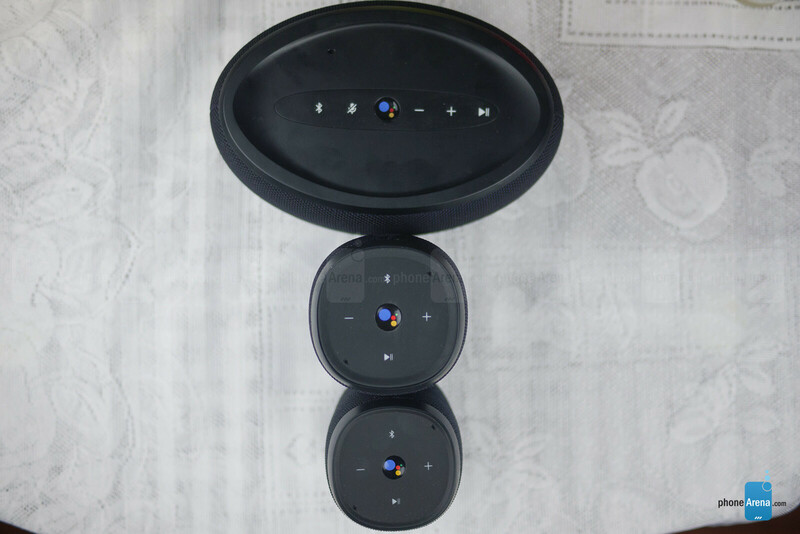 In terms of Bluetooth range, you’ll find a decent radius of around 50 feet before experiencing stutters or interruption, while the supported music services offer their own satisfying range. Services playable without your phone include Spotify, Google Music, YouTube Music, Pandora, and TuneIn Radio. While subscriptions are required to play specific songs, radio stations based on an artist or song are free for all to use with all of these services. Fortunately, playing music doesn’t much hinder the Link’s proficiency in hot-word detection. Even at top volume, we could give a firm, but not yelling, command to the speaker and it would listen. So, it was no surprise that at low-to-moderate volumes we could easily summon the Google Assistant from across a room. We’re quite impressed with how well only two microphones picked up our voice. 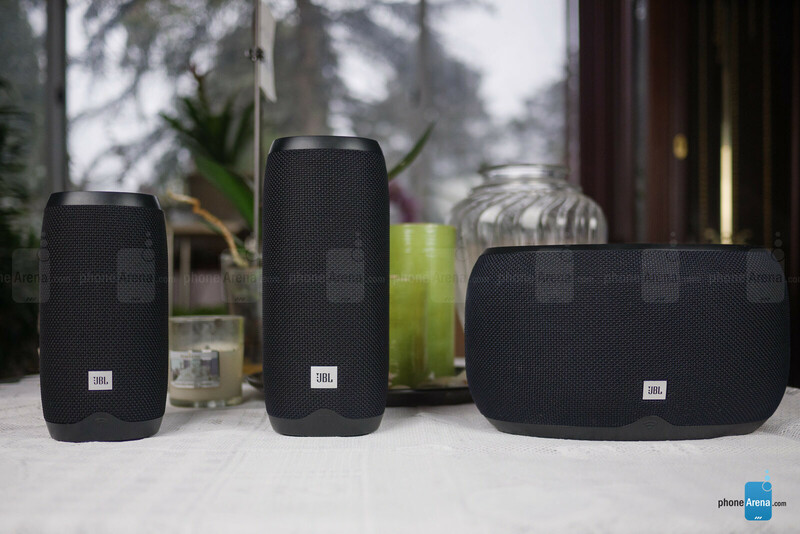 The JBL Link series provides some formidable competition for its third-party Alexa-endowed counterparts, and even gives the Google Home series itself a bit of a run for its money. 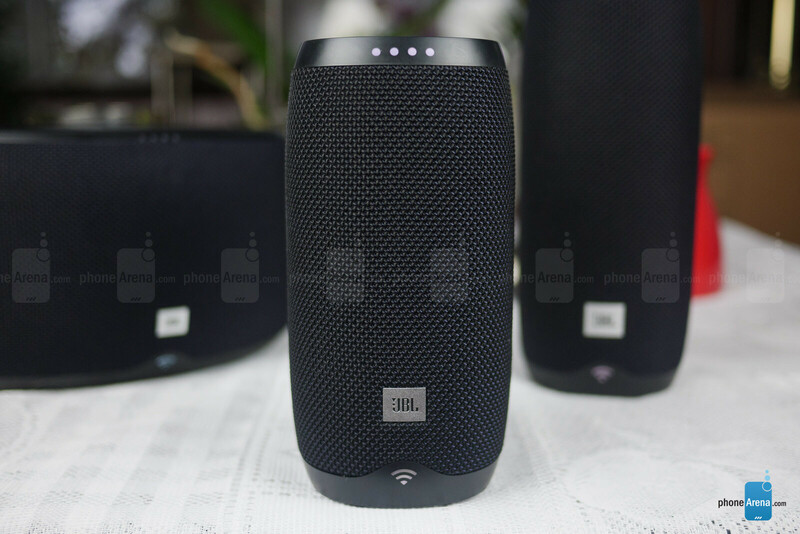 With IPX7 water-resistance on the Link 10 and 20, and almost all of the same functionality of a $129 Google Home, the JBL Link speakers offer decent sound quality in various sizes that are all reasonably within the Google Home’s price point, especially during sales which knock about $50 off the price. The Google Home’s biggest saving grace here is that it will always have the newest Google Home firmware and features, which can’t be guaranteed for the Link series of speakers. As far as competition goes with third-party Alexa speakers, Google’s first-party support for third-party devices is unparalleled by Amazon. Not only is setup and control easier, but Google Assistant/Chromecast speakers of all brands can join in on whole-home audio, making the Google Assistant a more universally extensible option for your house in this regard. Not to mention, we’d rather have a conversation or query the internet with Google over Alexa ten times out of ten. Speakers like these make a strong case for Google to continue to lend out its assistant, and an even stronger case for consumers to switch to a Google-based smart home ecosystem. Deserves a better score then that. It is way more smart speaker then the Homepod, less money and sound is subjective I know, but for me it sounds better then the Homepod witch you gave the same score.